It’s a busy week in Historic South Park! The air is filled with the sounds of hammers and saws. Paint brushes are flying and electrical cords are being run….but this is not the typical home renovation activities in South Park. No this is the flurry of activity surrounding the production of Romeo & Juliet that will take place this weekend. Be sure to set aside one evening this week to venture down to South Park Green to see what your friends and neighbors have been working on for the past couple of months! The show starts at 8pm on Friday, Saturday and Sunday. There is no admission fee, though the troupe of actors will gladly accept donations to help offset the costs of the production. Make sure you bring a lawn chair or blanket, no seating is provided. Find out a bit more about the show in recent press. Be sure to pick up a copy of this week’s Dayton City Paper for a nice article and visit www.DaytonMostMetro.com for the onStageDayton post about the show. Additionally, the official press release from Shakespeare in South Park can be read below. A neighborhood Shakespeare troupe presents its third production ofShakespeare in the Park in Historic South Park, Dayton. DAYTON, OHIO— The Shakespeare in South Park Company is back for a third season, and its first tragedy from the Bard’s pen: Romeo and Juliet. Show times are 8:00 PM Friday through Sunday, September 17-19. Director Daniel Wilson has set the famous story of star-crossed lovers shortly after the conclusion of the Civil War and placed it near the border state region in a spot historically similar to Montgomery County, Ohio. As students of history know, it was a time when sympathies still ran hot. The Montagues (Romeo’s family) are depicted as Union soldiers and officers; Juliet’s Capulets as Confederates. By setting the play 150 years ago in America, Wilson finds renewed relevance in a 400-year-old play written in England and set in Italy. The divisive politics of today have left people unwilling to compromise. Shakespeare’s play reminds us that if we are unwilling to find peaceful solutions to our differences, our children will pay the price. Staged outdoors at South Park Green on Hickory Street, the minimalist set takes advantage of a real two-storey carriage house at the back of the stage area. The famous “Balcony Scene” will feature Romeo conversing from amid real bushes with Juliet in a real upper-storey window. As in past Shakespeare in South Park productions, a significant number of cast and crew are South Park neighborhood residents. A unique South Park presence in Romeo and Juliet will be the antique sword carried by Lord Montague. Made in Cincinnati about 1900, it was found in the attic of 130 Alberta Street during a mid-1980s rehab, and has remained with the house, passed to each successive homeowner. 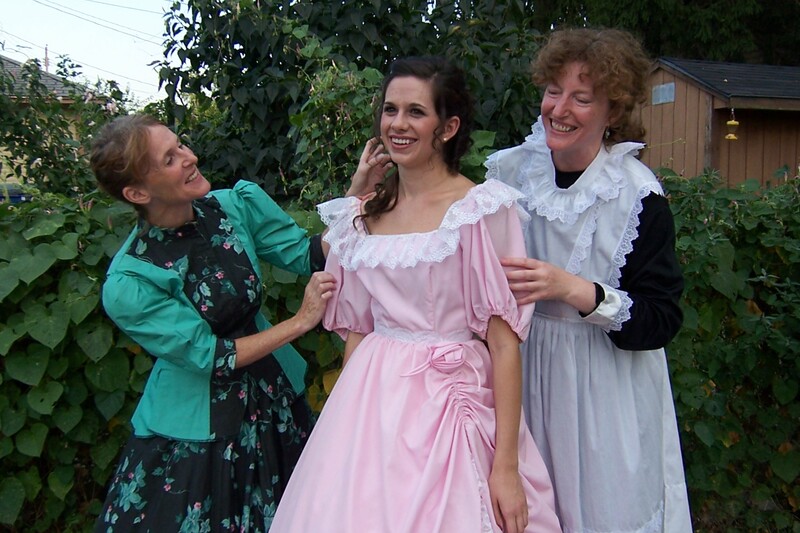 Several lead roles are played by actors familiar to Dayton theatre-goers: Mary DeMatteo (Juliet), Mike Embree (Romeo), Karen Righter (Nurse), and Susan Robert (Lady Capulet). 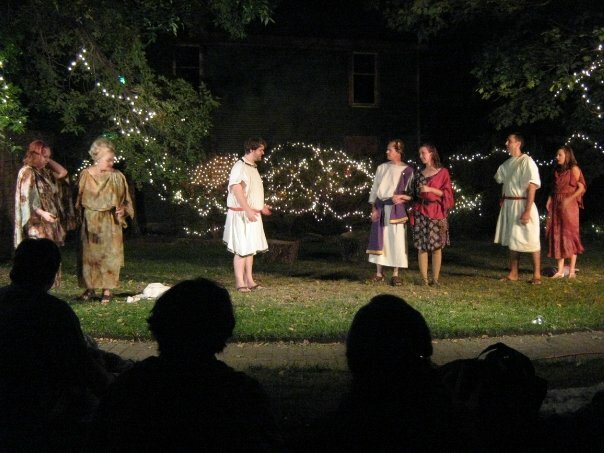 Shakespeare in South Park productions are free to the public, while contributions are gratefully received and used to defray costs of the show. Bring a lawn chair or a blanket. In case of rain, the play will be staged at Hope Lutheran Church, 500 Hickory Street. For more information, visit the Historic South Park website at historicsouthpark.org, or call 937-603-4893. About Historic South Park, Inc.The largest of Dayton’s Historic Districts, the mission of Historic South Park is to promote home ownership and a healthy urban lifestyle in a close knit community. Known for its remarkable mix of Victorian homes, charming cottages and its active, social (and creative) residents, South Park is a national award-winning neighborhood. For more information visit www.historicsouthpark.org. or call (937) 603-4893 for information.